The Conflict Armament Research (CAR) lobby group has accused Uganda of illicit supply of arms to South Sudan. The London-based CAR says in its latest report that Uganda was buying weapons from European countries and giving them to South Sudan, despite an arms embargo. It accuses Kampala of violating the European Union arms embargo on South Sudan by channelling to the war-ravaged state weapons purchased from Bulgaria, Slovakia and Romania. Juba, the CAR findings say, uses Kampala to act as a key arms dealer, especially after the imposition of an embargo by the UN Security Council in July. CAR also says that some of the ammunitions transferred to South Sudan by Uganda were discovered in the hands of Sudanese rebel groups fighting to dislodge President Omar Bashir. Attempts to get Juba's response were futile. Recently, the UN Panel of Expert on South Sudan also claimed that Kampala and Khartoum were both violating the arms embargo imposed on Juba. It said Kampala was openly giving military support to Juba. Uganda's President Yoweri Museveni has since the beginning of the civil war in South Sudan, provided direct support to President Salva Kiir in the war with his former deputy Riek Machar. The two foes signed a peace deal recently, brokered by Uganda and Sudan, but which faces scepticism from the West, especially the US and the UK who view Kampala and Khartoum as double dealers. OMUWENDO gw’abaana b’omugenzi Kirumira gweyongedde, omukazi omulala bw’aleese omwana ow’omunaana ne bawera omugatte gwa baana 12 ate omulala n’ayanjulira ssezaala we olubuto lwa myezi esatu. Kawooya (taata wa Kirumira) n’abamu ku baana be baakakasizza. Ku ddyo, Najjingo (ssenga wa Kirumira), omu ku bakebera abaana. Owoolubuto yayitiddemu taata Abubaker Kawooya engeri gye baakwatagana ne mutabani we kati omugenzi Kirumira. Okusinziira ku ssenga w’abaana bano Dimintiria Najjingo (mwannyina wa Abubaker Kawooya), abaana b’omugenzi Kirumira abaaleeteddwa okuva ng’afudde baweze munaana. Kuno kwe bagasse n’omukazi eyazze n’olubuto olw’emyezi esatu era ono nti yalaze n’obujulizi ku ssimu obulaga nti abadde n’enkolagana ey’enjawulo ne Kirumira. Najjingo yategeezezza nti, abaana bonna abaaleeteddwa oluvannyuma lwa Kirumira okufa baakakasiddwa mu kika era tewali gwe babuusabuusa nti si waabwe kubanga abaana bonna balina obubonero obw’enkukunala obulaga nti ba kika. “Abaana abaffe tebabula, era bwe twabakebedde bonna twazudde ba mu nju,” Najjingo bwe yakkaatirizza. “Eyazze n’olubuto naye twamukkirizza era tugenda kulaba ng’afuna obuyambi kyokka okukakasa nti omwana wa Kirumira alina kusooka kuzaala ne tusooka tumukebera, bwe tumukakasa nga tumuwa erinnya ly’ekika” Najjingo bwe yagambye. Najjingo yategeezezza nti, omugenzi Kirumira abadde alina aba famire b’ategeeza ku byama bye era beesigamiziddwaako nnyo ne mu nsonga z’abaana okukakasa nti abaleeteddwa bonna bamulekwa ba Kirumira. Kino kitegeeza nti ssinga omwana ono azaalibwa ne bamukakasa nti wa Kirumira, omuwendo gujja kulinnya okutuuka ku 13 ab’ebbali mwenda ng’obagasse ku bana ab’omukyala ow’awaka Mariam Kirumira. Abaana omusanvu abaasoose okuleetebwa ku Mmande kuliko: Yasin Kalule wa myezi mukaaga, Baker Kawooya myezi mukaaga, Shadia Nalukenge mwaka gumu kitundu, Shahaz Nakawooya 1, Hassan Jjungo 2, Muhammad Kirumira 4 ne Shira Nakawooya 4. Bazaalibwa abakyala ab’enjawulo okuli Sarah Kevin Nakimbowa eyaleese omwana omu Kirumira Kawooya, Provia Kahenda omwana omu ne Saudia Karabia eyaleese omwana omu okuva e Bwera ku nsalo ya Uganda ne Congo. Najjingo yagambye nti, nga tebannawanjagira muntu yenna kubawa buyambi, gavumenti esaanye okuweerera abaana ba Kirumira n’okubalabirira kubanga kitaabwe yafiiridde ku mulimu ate ng’abadde muweereza mulungi. Ayongerako nti, ekika kyonna kibadde kiyimiridde ku Kirumira nga bonna bamulinamu essuubi ery’enjawulo okuli okuyamba abantu be naddala bazadde be be yali yasuubiza okuzimbira amaka ag’ekitiibwa n’abalala b’abadde aweerera, kyokka yabalese ttayo, kati batunuulira jjajjaabwe. Ye sebo gwe omutabaazi eyebagadde emundu nga ogenda otta nebakusasula kakati bwebanakwongeza omusolo ogwokusasulira ezadde lino onagamba kiki? Nti nabo bonna bave munsi? Kino kituufu wano e Buganda. Abaganda bajjajja bwebagenda nga e Bunyoro okutabaala abasajja Abanyoro nga bwebawangulwa nga, abakyala nabaana Abaganda nga bettika. Nga abaana nabakyala bawebwa kika nga ensi Buganda okuza bantu baayo. Bwebuganda bwa Buganda. Abo ennaku zino abatema jjambiya abakazi nabaana si Baganda nakamu. Ye gwe oba oli mutabaazi anoonya ensonga, lwaki musajja munno omulaba talina kyakulwanyisa ekyokwetasa gwe nga omukuba ekyasi? Male Hassan Mabirizi Kiwanuka, one of the petitioners who challenged the 'age limit' Constitutional Amendment Act of 2017, has filed a notice of appeal challenging the verdict of the Constitutional court. The notice of appeal was filed on Friday - a day after a Constitutional court decision that upheld the amendment by parliament to lift the cap on the presidential age, which was initially limited to persons aged between 35 and 75. Four of the five members of the Constitutional court; Cheborion Barishaki, Elizabeth Musoke, Alphonse Owiny-Dollo and Remmy Kasule, upheld the amendment when they said that it did not contravene the Constitution and neither did it contravene parliament's rules of procedure. But Justice Kenneth Kakuru declared that the entire process was flawed and asked that the entire amendment Act be purged from the Constitution of Uganda. 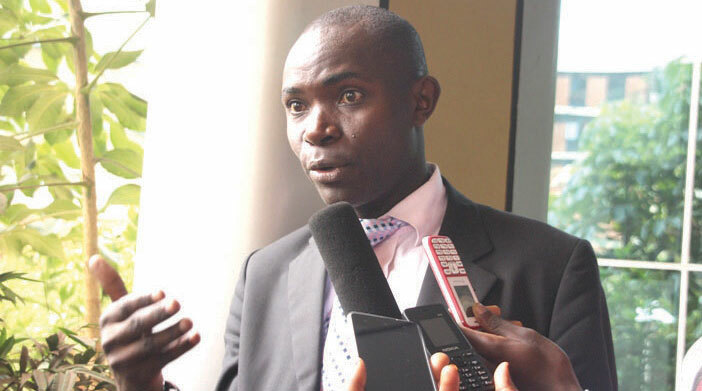 In his judgment, Kakuru pointed out that out of a population of close to 40 million Ugandans, only 22 individuals, eight government ministries, 15 commissions or agencies including the prime minister in his official capacity, four political parties, the leader of the opposition in parliament and one district local government official were able to give their views on the bill before the legal and parliamentary affairs committee of parliament. He stated that the rest appeared to be a collection of obscure and amorphous groups that include Fronasa veterans, Uganda Association of Uneducated Persons, Kick Age Limit Out of the Constitution and others. On Friday evening Mabirizi who was praised by the Constitutional court for his research and submissions in the petition, rushed to Court of Appeal where he presented 80 reasons for challenging the verdict of the Constitutional court. Part of the reasons he says that he was denied a right to a fair hearing, was discriminated in a manner that is not justifiable in a democratic society and was denied a chance to respond to the contribution of the attorney general. Mabiriizi contends that the court did not decide the fate of the two affidavits of Keith Muhakanizi the Secretary to the Treasury and Gen David Muhoozi, the commander of the defence forces, which allegedly contained hearsay. Mabiriizi adds that he was also denied a chance to cross-examine Muhoozi. "But since am appealing just part of the judgement that is why am giving the grounds to which I don’t agree with in that judgement. Of course I don’t agree with retaining some provisions of the Act of age limit and others because of procedure. Court is saying procedure was okay. Had they found that the procedure wasn’t okay, then the entire Act had to fall. 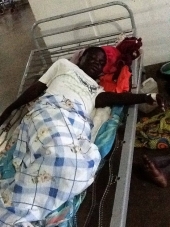 But they are saying the procedure was okay yet it was not okay," Mabirizi stated. Mabirizi, after filing the notice of the Appeal rushed to the Supreme Court registry amidst a tight deadline to avail them with copies as the legal procedures require. The procedures include the requirement to state all reasons for the appeal and inform the Supreme court as soon as possible in instances where one is not appealing against the whole judgment of the Constitutional court. Although armed police personnel attempted to block his access to the Supreme court, on grounds that he arrived beyond office time, Mabirizi later succeeded after introducing himself and the motive for his 'visit'. He now wants the Court of Appeal to declare the entire law as null and void. "We’re building a country on shaky ground which cannot stand. I have given 80 reasons, actually 80 disagreements with the judges….if you can be able, in just a day to pick 80 mistakes to be challenged, then I don’t know what will happen after 60 days. I want the entire law to be annulled to be declared null and void." There is a need for political common sense to prevail in this country so that the Uganda Army and the Opposition do not resort to going in the bush to resolve their differences and once again they start killing innocent citizens of Uganda. By Stephen Kafeero of the Sunday Monitor paper, Uganda. Ministry of Defence officials spent at least Shs6.7b worth of taxpayers money on a non-existent solar power project. Sunday Monitor understands that the funds in question were urgently requested from the Finance ministry in a 2016/17 supplementary budget to Parliament. In their justification for the supplementary request, the technocrats in the Ministry of Defence officials claimed they wanted the funds in question to “urgently instal solar power at the Kololo ceremonial grounds”. Three years later, not a single panel has been installed at the site in what has now molded into a scandal, drifting at the door steps of the ministry. This scandal raises crucial questions about the whereabouts of taxpayers money, and the motive behind the numerous supplementary budget requests procured under the cover of “emergency spending pressures”. When Sunday Monitor visited the site, there was no sign of accountability of the public funds spent. The same findings are contained in the latest report of the Parliament Committee on Defence and Internal Affairs chaired by Mityana District Woman MP Judith Nabakooba. The committee asked Parliament to pick interest in the latest scandal with a view of investigating the culprits who took the funds meant for the project. Ms Nabakooba told Sunday Monitor last week that her committee was not satisfied with the explanation of the ministry officials. When pressed on the accountability of the funds, Ministry of Defence officials claimed “they were still handling the procurement of the project” three years down the road. It is also not clear why the Defence ministry did not return the funds to the Consolidated Fund at the end of 2016/17 financial year. Sunday Monitor could not confirm whether Ministry of Defence officials requested the Secretary to Treasury to retain the Shs6.7b under the committed funds window. When the ministry failed to convince MPs on the accountability of the funds, committee members rejected their explanation and took the matter to Parliament. The Secretary to the Treasury, Mr Keith Muhakanizi, appeared helpless when asked to explain what some MPs on the Defence and Internal Affairs Committee have called “a ghost solar power project”. 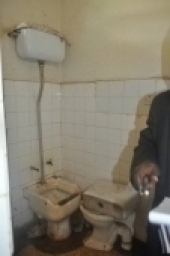 Mr Muhakanizi indicated that the matter is out of his hands. “I am not their accounting officer,” Mr Muhakanizi said, before asking the Sunday Monitor to demand accountability of the queried public funds from the Ministry of Defence officials. “I don’t know [what happened]. 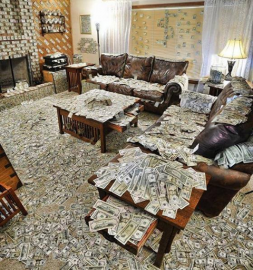 All I know is that we released the money,” Mr Muhakanizi said. Attempts to speak to Ms Rosette Byengoma, the permanent secretary of the Ministry of Defence were futile by press time. 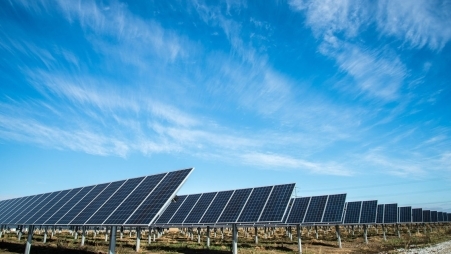 Sources within the Ministry of Defence and Parliament told the Sunday Monitor that the solar power project was used as a cover to get funds from Parliament and use it for other unspecified activities. They also say that there was never a plan or intention to instal solar power at Kololo as the documents claim. Although Ms Byangoma could not be reached for a comment, in January, her colleague, Ms Edith Buturo, the Ministry of Defence undersecretary in charge of finance and administration, told the Defence and Internal Affairs Committee that there were still issues to be handled before the project could kick off. “There are a number of areas that are still grey in terms of the design and implementation of this project. The funds were secured and those funds are still available with us on the project account,” Ms Buturo said. Ms Buturo, however, did not present authority for retaining the funds for three years contrary to the dictates of the Public Finance Management Act. With questions being asked from Parliament, it is a matter of time before the Auditor General and the Public Accounts Committee pick up the matter. This newspaper understands Defence ministry officials have been restless in trying to find the justification for the Shs6.7 billion. This money remains unaccounted for. Ministry of Defence and Uganda People’s Defence Forces (UPDF) spokesperson, Brig Richard Karemire, however, down played the committee report and the queries on the Shs6.7b. While Ministry of Defence has suffered budget cuts like most of the other ministries, the UPDF docket remains one of the top funded sectors only behind works and transport, energy and mineral development, education and health. The proposed budget for the ministry in the 2018/19 budget is Shs1.409 trillion down from Shs1.423 trillion in the current financial year. The queries on the expenditure of Shs6.7b also comes at a time when Parliament has tasked government to find Shs24.1b to cater for the wage bill of about 4,000 recruits currently undergoing training. They are due to access the wage bill in August but were not budgeted for in the coming financial year spending plans. Ministry of Defence has since been tasked to restructure its budget to pay all the outstanding arrears worth billions of money to organisations and individuals who supplied goods and services to the institution. Added 1st April 2018, Easter Sunday. SSAABASUMBA w'essaza ekkulu erya Kampala, Dr.Cyprian Kizito Lwanga azzeemu okwatulira bambega ba Pulezidenti Museveni abamuwa olugambo olufu nti bafera mufere okumufumunamu ssente. Katikkiro wa Buganda Mayiga (ku kkono) ng’abuuza Ssaabasumba oluvannyuma lwa Mmisa e Lubaga. Amuddiridde ye minisita Muyingo ne minisita Nakiwala. Bino yabyogeredde mu Lutikko ya St. Mary’s e Lubaga ku Ssande mu Mmisa y’okukuza Amazuukira ga Kristu. Yagambye nti bambega n’abakuumaddembe basaanye okukola omulimu gwabwe mu mazima n’obwesimbu. “Abantu abakuwa amawulire amakyamu be balabe bo nnamba emu era bw’otoobeegendereze bagenda kukukozesa ensobi bakusuule’’ Ssaabasumba Lwanga bwe yategeezezza. Yakakasizza pulezidenti Museveni nga bwe batamulinaako buzibu, kyokka n’amujjukiza okukola ekituufu nga bwe yalayira okuweereza Bannayuganda nga yeesigama ku mmoto y’eggwanga egamba nti ‘’Ku bwa Katonda n’ensi yange’’ Yayongedde n’amusaba okwekenneenya abakuumaddembe mu bibiina ebikessi eby’enjawulo okuli ISO ne CMI by’agambye nti bijjudde abalimba abaviiriddeko abantu abatalina musango okuttibwa. Dr. Lwanga ayogedde ku nzita ez’enjawulo Bannayuganda ze bazze batiibwamu okuli okukubwa amasasi, okubawa obutwa,okubatulugunya n’okubakuba emiggo ate abalala babattisa bigambo. Mujjukire nti teri atajja kufa n’abamu ku bazze batta bannaabwe baafa. Yeekokkodde obwavu n’ebbula ly’emirimu ebitawaanya Bannayuganda kyokka gavumenti n’etefaayo ku bintu bigasiza awamu bannansi ng’okuzimba obutale ku nguudo ez’enjawulo. Lwanga awadde Gavumenti amagezi okukomya okwonoona ssente ng’ezimba ebizimbe by’obutale ebyebbeeyi okugeza Wandegeya akalina emyaliiro omukaaga, nerema okufaayo okuzimbira abantu obutale ku nguudo ez’enjawulo. Yeebaziza Gavumenti olwebyo by’ekoze, kyokka n’agamba nti obwavu bugenda kutta abantu. “Neewuunya nnyo bwe nalaba nga kabinenti eyisizza akawumbi kamu okujjanjaba ekirwadde kya kinyeenya mutwe ate n’eyisa obuwumbi 4 okujjanjaba ente obulwadde bwa kalusu” Ssabasumba bye yeewunyiza. Yawunzise agamba nti empuliziganya ennungi wakati mu bakulembeze ku mitendera egy’enjawulo y’eneeyamba okugonjoola ebiruma abantu ,era gavumenti bw’eba erina ky’eyagala omukulembeze w’eddiini aginnyonnyole emuyite okusinga okutwala ehhambo za bambega. Katikkiro wa Buganda, Charles Peter Mayiga yagumizca Ssaabasumba ku bamutiisatiisa n’agamba nti omukulembeze yenna owamaanyi nga ye ayogerwako era bwe kikolwa kiraga nti wandasi. Yakubirizza abavubuka okukozesa obulungi emyaka gyabwe egy’ekivubuka nga beetekerateekera obulamu bwabwe obw’omu maaso n’obutaggwaamu ssuubi. Yayongedde n’abakubiriza okukomya okwetundako ettaka n’okwekuuma nga balamu. Yakunze Obuganda okwetaba mu misinde gy’okukuza Amazaalibwa ga Ssaabasajja Kabaka ag’omulundi ogwe 63, n’okuwagira okujjanjaba obulwadde bwa Nalubiri. Minisita omubezi owebyenjigiriza ebyawaggulu, J.C.Muyingo yasiimye abavubuka olw’okwettanira emirimu gya Klezia n’agamba nti gavumenti esiima emirimu egikolebwa Klezia . Asabye bannayuganda okukozesa obulungi tekinologiya mu bintu ebizimba eggwanga n’okulitwala mu maaso nga basaasanya amawulire amatuufu. Asabye bannayuganda okukozesa obulungi tekinologiya mu bintu ebizimba eggwanga n’okulitwala mu maaso nga basaasaanya amawulire amatuufu. Gano amazukira ga Uganda kunyumya bya bufuzi byabulijjo wano e Buganda? Oba kujjukira Isa Masiya eyakwatibwa Police nawozesebwa omusango negumusinga nabonyabonyezebwa kumusalaba okutuusa okuttibwa. Bangi nyo nebawowogana nyo nti Akomererwe omusajja oyo. Omu ku basirukale namufumita effumu nga essawa 8 mulamba akyaganye okufa, amazzi nomusayi nebifubutuka mulubuto. Nakuba ebiwobe ebiyitirivu nakutuka nafa. Nga ddala ddala mubyafaayo by'ensi eno eya Tonda, kiki kyeyakola ekibi enyo alyoke afune ekibonerezo ekyenkanide awo? OMUBAKA Odonga Otto (Aruu) awawaabidde mubaka munne Evelyn Anite (Koboko Municipality) era minisita avunanyiizbwa ku bamusigansimbi ng’ayagala amwetondere olw’okumwonoonera erinnya. Otto agamba nti Anite yamulebudde bwe yategeezezza nti okugenda mu Palamenti ku Lwokuna yali atamidde. Ayagala bamwetondere ng’akozesa emikutu gye yakozesezza ng’amwogerako eby’obulimba era amugatte n’obukadde 300. Ku Lwokuna Otto yasaba Palamenti ebonereze Anite nga bamuwera emyaka munaana nga takiika mu Palamenti olw’okuba yavaayo n’ategeeza nga abawagizi be kiteeso ky’okuggya ekkomo ku myaka bwe balina obuwagizi bwa magye. Wano e Luweero M7 nabasajja be ba Besigye bayoola nga ebyalo 6 nebatta nebagobamu abatuuze. Abacholi n'Abalango mumagye ga Uganda bwebajja nga okutaasa, nebabba buli kimu abantu abadduka amaka gaabwe kyebalese. Entalo nezinyuma okukamala wano e Buganda 1979/1986. Otto ne Anite mutegeragane ebyabajjajja bammwe ku mundu zobufuzi mu Uganda bibi nyo era birimu nemisango mu court y'Esi yonna. Otto kituufu wabadde onywedde ku bilagala byennaku zino. Anti nawe olaba ebigenda mumaaso. Bwemutyo abewamwe bwemwafuga Buganda nemundu nga temuwummuza. NRM nebatamya emundu era oli mutuufu obutaagala kuwulira bya mundu. Katusuubire nti nabano abanyandekwe emundu waliwo ajja okujibatamya mukufuga kwabwe. Anti asiinga okutta abantu mulutalo yawangula olutalo muganda wange. Prime Minister Ruhakana Rugunda has assured the country that security is ‘intact’ despite the gruesome killing of the Assistant Inspector General of Police, Andrew Felix Kaweesi. Kaweesi, who has been Police’s spokesperson and director for training and human resource in the force, was gunned down a few meters away from his home in Kulambiro, a Kampala suburb, by unknown assassins on 17th March,2917 on a Friday morning. He was killed alongside bodyguard Kenneth Erau and driver Godfrey Wamewo while on his way to work. Several Muslim leaders have been killed in the same manner in Uganda by assailants riding motorcycles. Addressing the media at the on the side-lines of the ongoing conference for political parties and leaders at Botanical Beach Hotel in Entebbe, Rugunda urged Ugandans to remain calm. “People should be calm. The country’s security is intact and the security agencies are doing their work. Such isolated incidents can happen anywhere” he said. The Prime Minister described Kaweesi as a good and hardworking senior police officer. “The Government will do everything possible to recruit people into Police and train them to ensure there are no gaps” Rugunda stated. Dr Besigye addresses journalists at his Katonga Road offices in Kampala yesterday. KAMPALA. Opposition leader Dr Kizza Besigye yesterday poked fun at the battle for East African Parliament as a “diversionary ” tactic of the ruling NRM party. He also dismissed the contest for East African Legislative Assembly (Eala) as a gimmick to divert public attention from pressing national issues in the country. Speaking at his Katonga Road offices in Kampala, the former four-time presidential candidate, who was flanked by officials, including the people he calls ‘ministers of the peoples’ government’, said there were serious political, economic and social issues that should be occupying the minds of Ugandans but were being swept under the carpet. “I want to express our concern on how our country is being treated to diversionary and minor issues that engage the political discourse in the country at the expense of very grave and important matters that are not being attended to and this is very clear, the strategy of the NRM regime. It is to divert the country from the most pressing issues,” he said. Dr Besigye cited the debate on selecting Uganda’s representatives to the East African Legislative Assembly (Eala) which has dominated headlines this week as one of such “diversionary” tactics. “You hear people saying Eala, Eala. What is Eala?” Dr Besigye asked. “The whole country is now Eala, there is a war in State House….” Dr Besigye said, shaking his head and laughing. On Tuesday night, the NRM party parliamentary caucus meeting that had been convened by President Museveni to choose the party flag-bearers for Eala descended into war of words and threats of fist fights as the members disputed the voting format and tallying of the votes cast. Dr Besigye appealed to the media not to be drawn into such diversionary strategy. The former FDC party presidential candidate particularly accused President Museveni of engaging in “obscurantism”— the practice of deliberately preventing the facts or full details of something from becoming known. “The moment you hear Mr Museveni criticise anything, know that it is what he is doing. You may have heard him criticising corruption in the elections saying ‘how can you pay people?’; just know that is what he is exactly doing,” Dr Besigye said. On Wednesday, President Museveni warned against the monetisation of the electoral process, especially through bribery. The incumbent was addressing the NRM party parliamentary caucus at State House Entebbe, which had met to elect Eala representatives from the NRM party. The aim of masking the critical issues affecting the country, Dr Besigye said, is to divert people’s minds from paying attention to such issues and to cause confusion among those who stick to the issues. “The intention is also to blackmail some of us. I am sure you have been seeing a very focused attack on my person from very many directions that are clearly choreographed to try and isolate our leadership, divide us and weaken the national agenda of recovering our country,” he added. Dr Besigye said such campaigns had been, to some extent, successful because whatever is thrown about, the media picks up and runs with it. “The Fourth Estate owes the country a duty to maintain a sharp focus on the issues in the country and ignore those that are thrown about for the purposes of obscuring the critical issues,” he said. Some of the “diversionary” things he cited include a story run by NTV on Wednesday night which indicated that there were plans to amend the FDC constitution to allow former leaders such as him to run for party offices. Dr Besigye said the country’s focus should be on such issues as the legitimacy of the ruling government, the collapsing economy (closure of banks such as Crane Bank, businesses stuck without credit facilities, unmet recurrent expenditure, enforced cutbacks on budget), “oil giveaway on contracts that are scandalously inflated” and the “collapse of the health and education sectors”. “This is not a Kasese matter; it is not even a Ugandan matter. 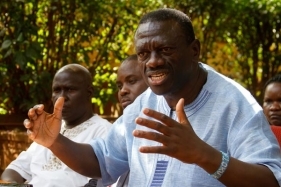 This is an international matter of great significance,” Dr Besigye said. Dr Besigye added that debate in the country must also be focused on regional security issues such as an influx of refugees from neighbouring countries such as Burundi, South Sudan, and the DR Congo. 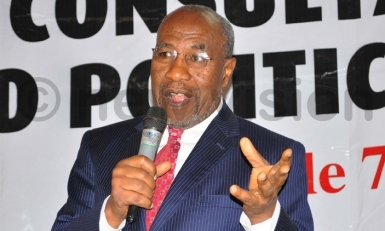 On government’s announced plans to set up a Constitutional Review Commission, which both Prime Minister Dr Ruhakana Rugunda and Justice minister Kahinda Otafiire, have confirmed on separate occasions. “I think it is grossly ill-advised to do so amid the kind of legitimacy issues I have been talking about. The constitution is our basic law; it must enjoy the full support and buy-in by the population. Amending the Constitution must be treated with utmost seriousness. It is the supreme law, it embodies our spirit. To set up such a commission requires a consensus that Mr Otaffire cannot achieve by just saying I am going to set up a commission. There is an urgent need of reassessing the whole political question in the country and how it is managed. Dr Besigye yesterday, announced a new campaign by the ‘peoples’ government’ to raise awareness on land issues across the country. President Museveni recently appointed Court of Appeal judge Catherine Bamugemereire to lead a commission of inquiry into land matters in the country. The commission appointed last year, is yet to start work. Dr Besigye says it cannot deliver much given the appointing authority and the predatory nature of the regime. He said both the government and people working in it had fraudulently acquired land leaving many Ugandans totally landless in “jobless” Kampala. He cited examples of Butabika Hospital land, Shimoni school land and the Prisons land but said the worst forms of land grabbing were in the countryside mainly in Karamoja, Bunyoro, Acholi, parts of Buganda and Busoga. The former presidential candidate said a programme for the campaign was in the final stages and would be issued soon. Reject outright any attempt at amending Article 26 of the Constitution, which guarantees the right to property and provides that no person shall be deprived of their property without prompt and adequate compensation. A moratorium on large scale land acquisition. Legal analysis of laws relating to land to establish clear proposals on how to stem corruption in the land sector. A screening process of investors seeking to access land bearing in mind the UN guidelines on land. Raising land law and rights awareness so that people are knowledgeable when making transactions. The king who was arrested in connection with the November 17, 2016 incident in which more than 100 people died in an attack on his palace in Kasese town, appeared before the Jinja chief magistrate John Francis Kaggwa. He, together with over 150 of his royalists including his prime minister Johnson Thembo Kitsumbire and royal guards are charged with 41 counts of murder, attempted murder, terrorism, aggravated robbery, treason and malicious damage to property. However, Mumbere was re-arrested on January 13 2017, only hours after being granted a shs 100m non cash bail. He was later produced before court in Jinja where more charges of murder and terrorism were read to him. He was consequently remanded to Luzira prison until Monday when he will re-appear where sources said the king is this time expected to appear before High Court Judge Michael Elubu. The first bail had been granted to him by Jinja resident Judge Eva Luswata. Mumbere’s lawyers led by Caleb Alaka have consequently applied for a second bail to have the king answer to the charges against him from outside prison, citing his advanced age of 64 years and illnesses such as hypertension and diabetes. Meanwhile Jinja chief magistrate John Francis Kaggwa on December 29, 2016 adjourned the hearing of a case in which Mukulu is charged with terrorism among other crimes, to January 30, 2017. This was after his lawyers Caleb Alaka, Ladislaus Kiiza Rwakafuzi and Samuel Muyizzi told court presided over by Jinja chief magistrate John Francis Kaggwa that Mukulu last appeared in court on September 6, 2016. Alaka explained that on this occasion, the state prosecutor asked for one month’s adjournment which was granted but the accused was never returned to court, but instead remanded to Luzira prisons. He noted that a production warrant issued by the court required Mukulu to appear on December 21, 2016 and when this failed it was extended to December 29, 2016 but still he was nowhere to be seen. “This is the second time a production warrant was made and served to the Uganda Prisons in Luzira, where the applicant was remanded but we are surprised they have failed produce him before this honorable court,” he said in December. Alaka who said they (lawyers) were not informed why Mukulu never appeared, tasked the state prosecutor James Muliro, to explain why Mukulu was missing in court but he (Muliro) too said he was not aware why Mukulu was absent. Alaka observed that the state’s conduct was against article 28 and 44 of the Uganda constitution and that it affects the applicant’s rights to have a fair hearing. Alaka further complained that Mukulu was committed to the High Court in his absence, which he described as an abuse of the suspect’s right to fair hearing. “The applicant (Mukulu) is entitled, as an accused person to be formally committed in his presence and also entitled to committal documents including a summary of evidence,” Alaka said. Muyizzi later explained that they had made a request to have Mukulu committed following the right procedures. “This (committal) is a process provided for by law. It should not be abused. It is unacceptable to commit someone to the high court in his absence,” Muyizzi said. Mukulu, who was arrested in Tanzania in April 2015, was first detained at Nalufenya, a police detention facility for violent crime suspects located in Jinja before being remanded to Luzira. He is accused of terrorism and murder charges, including masterminding the murder of almost 100 students of Kichwamba Technical Institute in 1998. Besigye nga yeezooba ne Poliisi ya magye ga Uganda. Egezaako okumulemesa nga ekozesa ekifuba namanyi alemesebwe okufuna abagenyi ewuwe. Mwateesa ekiseera obutenyigira mukulonda kwa M7. Mwawalaza mpaka. Mbu omusajja ajja kwelanga bwasinze mukulonda kwe singa tetuyitayo. Kakati emyezi 7 bifuuse kwata nyoko kwata kitawo kubanga mwamusinga mukalulu. Ffe abatalonda kakati munsi eyo tufunirawa? Last week, Oxfam Executive Director, Winnie Byanyima, accused me of losing my soul by “supporting dictatorship” and “defending gross human rights abuses”. This was after she said police blocked her from accessing her home. I had reminded her that use of police to harass opposition politicians in Uganda is not new. In fact, it was much more rampant in the early years of The so called National Resistance Movement political revolution when she was close to President Yoweri Museveni – both literally and figuratively. Her husband, Kizza Besigye, was the Minister of State for Internal Affairs (in charge of police and prisons) and later National Political Commissar and blued-eyed cadre of Museveni. 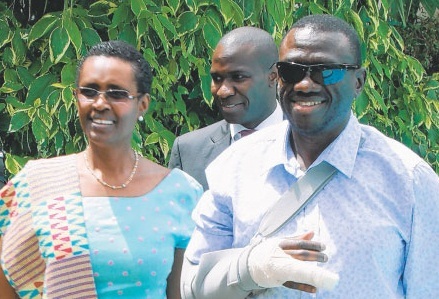 Mrs Winnie Kizza Besigye, Oxfam Executive Director (left) standing firm with her husband, Dr Kizza Besigye. In response Byanyima tweeted: “My record on human rights is in the CA and the parliamentary Hansard. Get me right Mwenda, I have used every platform I have had to advance human rights.” That is of course true and nothing but the truth. But it is also true that in 1986, Byanyima lived in Museveni’s State House and also wore military fatigues as a soldier in the NRA. During this period human rights were an exotic luxury not enjoyed by many Ugandans, especially in northern Uganda. The NRA was fighting remnants of the defeated army. It sometimes conducted a scotched earth policy – burning granaries, looting cattle, and conducting mass arrests called panda gari. Suspects were tied Kandoya, summarily executed, and in some cases, like in Boro-Coro allegedly burned alive in a pit. Many African Child Soldiers of 8-13 years were trained as African war soldiers. In 1991, NRA declared Operation North commanded by Gen. David Tinyefuza (now Sejusa) Before this, Attorney General and Minister of Justice, George Kanyeihamba went to the NRC (then-parliament) and pushed through a law that gave the state power to arrest without trial anyone suspected of collaborating with rebels. He went to Makerere University to defend this law. As Byanyima enjoyed the pleasures of power inside State House, the NRM government banned all activities of political parties through Legal Notice Number One of 1986. 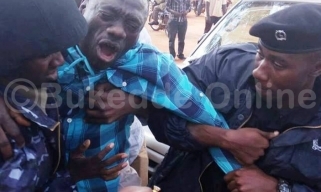 Meanwhile police under Besigye was arresting scores of opposition politicians: Yona Kanyomozi, Paulo Muwanga, Samwiri Mugwisa, Edward Rurangaranga, James Rwanyarare, Adonia Tiberondwa etc. They were all sent to jail for no other reason except that they were in UPC. Police arrested even DP politicians that were allied with NRM – Andrew Adimola, Andrew Kayiira, Zachary Olumu, Ojok Mulozi, Evarasto Nyanzi, Tibero Okeny etc. Those who were not in jail were in exile. Today, there is not a single senior politician in jail – even Besigye is either free or occasionally under house arrest in his luxurious home. President Museveni defended using child soldiers in his war of capturing power as a Normal African warrior culture. One wonders why such international reputable humane organizations employ such dodgy activists who have no regard for the most basic human rights. This African woman should leave her international directorship as quietly as she had joined it. The Government of Uganda in its long time of rule has recommended many more of its supporters for very lucrative national and international jobs for the sake of its political advantage to stay put in power. Gen David Sejusa has lost an application in which he wanted to block the army from arresting or transferring him. The High Court in Kampala this morning declined to grant interim orders stopping the Uganda People's Defense Forces (UPDF) from arresting the former spy chief. The Acting deputy registrar of the court, Festo Nsenga in his ruling reasoned that the current status quo of Sejusa which his lawyers were seeking to preserve is unknown. Nsenga added that he could not tell whether Sejusa is still a serving army officer or a civilian, and that this confusion is better left for the trial judge to hear and determine. Sejusa was seeking court's orders to temporarily stop the UPDF from deploying or arresting him on grounds that he is no longer a serving army officer, until his main suit is heard and determined. “I am therefore, with respect to both parties unable at this stage to state whether or not the applicant is still a serving army officer and reserve the issue for the learned trial judge..” ruled registrar Nsenga. Maxim Mutabingwa, one of Sejusa's lawyers expressed his dissatisfaction with the ruling. Court then fixed Sejusa's main application for hearing before a judge on 20th January, next year. About three weeks ago, the former Luweero bush war fighter, sued the UPDF commissions/promotions board and the Attorney General for allegedly refusing to retire him from the forces despite his formal request to be retired. 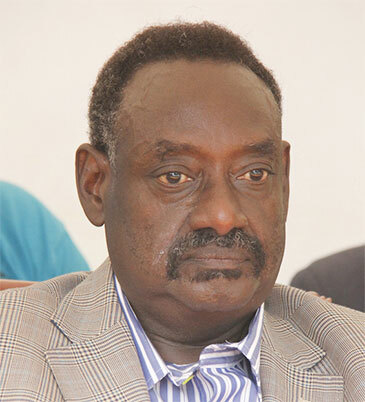 During submission by Sejusa's lawyers in support of interim orders, Mutabingwa told court that since April this year, Sejusa has been living a civilian life following UPDF's withdraw of his army uniforms, blocking of his salary among other disciplinary measures, a move he said turned him a civilian. Further in his suit, Sejusa says many of his comrades have been retired, yet he has not benefited from the same. Chief of Defense Forces, Gen Edward Katumba Wamala admitted that Sejusa applied to be retired from the army, but his request is still under consideration. What is this General scared of? Why does he not desert the army and suffer the legal consequence of it all? One understands that this man was working as a prison officer. He deserted and run away to join government rebels 1980. That case has not been lodged against him as yet by the Uganda Central Government Public Service commission of that time 1980-1986. It is a waste of the Judge' s time. 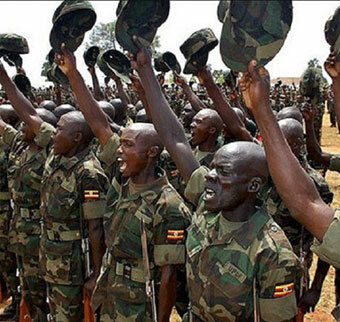 In the Poor Country of Uganda the national army is recruiting 3000 soldiers for business on the African battlefield. The Uganda Peoples Defence Forces (UPDF) will begin a recruitment drive today to fill close to 3000 positions in the lower ranks of the army. The drive was announced by the army over a month ago will seek to recruit people into the private rank, the lowest rank of the army to increase its numbers of front-line soldiers at battlefronts. Army spokesperson Paddy Ankunda says that the army has been increasing its capacity to handle national security and that is the reason for this recruitment. He also added that the force is engaged in many battles on the continent and that requires man-power. UPDF recruitment officers will be in areas of Namutumba, Luuka, Bugiri, Nebbi, Zombo, Kitgum, Lamwo, Bundibugyo and Kibaale to carry out the recruitment exercises. The recruitment officers will require a mandatory national ID and local council letter of endorsement from the people who will turn up for the drive. The army regularly disqualifies people with chronic illnesses and missing teeth from the recruitment. Uganda has close to 10,000 of its soldiers deployed in missions on the continent. Part of them are in Somalia under the peace keeping force of the African Union, others are in Central African Republic under the African Union's Regional Task Force in the hunt for Joseph Kony, another battalion is deployed in South Sudan to guard key government installations and some are kept at the border with the Democratic Republic of Congo to avert attacks from Allied Democratic Front (ADF) rebels. The deployments have stretched UPDF's internal capacity in their five divisions across the country. The recruitment will in part address that. Ankunda says that the recruitment will also seek to get 88 musicians for their brass band and 50 sportsmen for their sports department headed by Brigadier Phinehas Katirima. One wants to believe that these new African war recruits are going to be taught the major military law of the International Criminal Court of human rights in Geneva, Europe and the protection of the rights of prisoners of war nationally and internationally. Police ye Buganda eyemikolo nga Ssekabaka Muteesa II agilambula awamu ne Governor 1961. 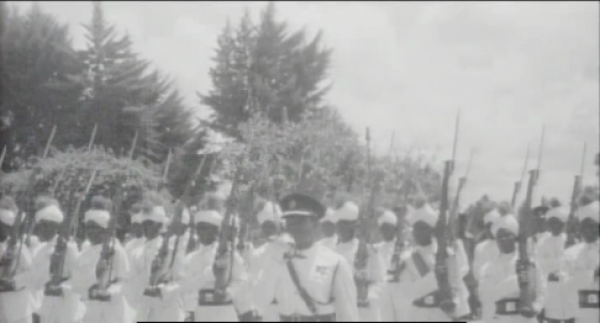 The modern Royal Army of the State of Buganda at the time of Buganda's independence 8 May 1962. During the making of the Uganda Constitution in 1994, Maj Gen Pecos Kuteesa proposed that Bahima be listed as a distinct community. This matter didn’t go down well with President Yoweri Museveni. He immediately summoned Ankole Constituency Assembly delegates to Rwakitura and explained why Bahima should not be listed as a tribe. That is how Bahima and other ethnic or sub-ethnic groups ended up all being listed as Banyankore. There are 65 tribes listed under the Third Schedule of the Constitution. In the case of Buganda, Banyala, Baruuli and Baganda were listed as separate communities (tribes). I had actually been made to believe that Banyankore were just one ethnic group until when I heard Maj Gen Jim Muhwezi threatening that they, “the Bahororo”, would cause trouble. I was later told that actually Bahororo are not Bakiga but Banyankore. I also sometimes hear that our beloved president is a Musiita. I am labouring to make only one point, that Ankole is not one ethnic group but the president ordered that they should be. In fact within Ankole, there are monarchists and anti-monarchists. To understand the ethnic clashes/conflicts in Rwenzori sub-region, one will have to ask themselves why President Museveni cancelled the coronation of late Prince Barigye as the king of Ankole. 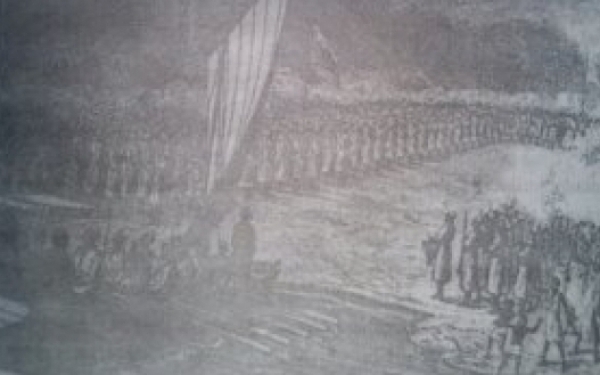 You remember that military generals, including David Tinyefuza, had successfully facilitated the crowning of Barigye. One should also ask himself why the person who cancelled a coronation of a king in his tribal area has all of a sudden become the chief promoter of kings and in fact the guest of honour at many contentious coronations. It is in understanding this that one will find the answer for the recent ‘murders’ in Kasese and Bundibugyo. Both Bamba and Bakonzo broke away from Tooro, to create the Rwenzururu kingdom. At the time they did this, they knew they were distinct ethnic groups but chose to be one more or less like Museveni’s Banyankore. Charles Wesley Mumbere, to the best of my understanding, was crowned as Rwenzururu king and not king of Bakonzo. Again forgive me if I am wrong, but I think Mumbere has brought fewer dividends to the life presidency project, as Kasese continues to vote against it. In fact in the last elections, Kasese was ontop of the districts in western Uganda that popularly voted against life presidency. Mumbere, I think, didn’t pick lessons from the ‘Buganda crisis’ of 2009, commonly known as the Buganda riots. Because the Buganda institution refused to be drawn into the life presidency project, the granter and guarantor got annoyed. More so because the Buganda institution allowed opposition voices on its radio, CBS. It had to be punished. And the punishment is standard – the king will be prevented from visiting part of his kingdom, his ministers will be arrested and some military men will be crowned kings within the same kingdom. That is exactly what happened to us here in Buganda. A one Capt Kimeze was promoted to major and crowned Sabanyala. In the case of Rwenzururu, Martin Kamya was promoted to Lt Col, even after retiring from the army, and crowned cultural leader of Obudhingya Bwa Bamba in May this year. It is three clan leaders, call them ethnic groups; Bamba, Babwisi and Bavanuma that installed this Omudhingya. If he doesn’t behave properly, you will hear that the Babwisi and Bavanuma are also in preparation to crown their own cultural leader. On June 30, Mumbere is blocked from visiting Bundibugyo. And I hope you all recall that circus when AIGP Grace Turyagumanawe slapped and kicked a policeman who fired live bullets when they were stopping the Omusinga. Eleven months later, the head of state is guest of honour at a coronation ceremony to install a new cultural leader in Bundibugyo. And exactly one month later, the area is engulfed in tribal conflict, and it is bloodshed all over. A sensible leader wouldn’t take sides in a conflict so explosive and sentimental like this one. And I find it childish that even schooled people are blaming intelligence. What could they have done? How come when they were on high alert, people rioted here in Kampala, and the rest of Buganda, when their Kabaka was blocked from touring his territory? Of course the Museveni intelligence is more robust when it comes to detecting Col Besigye’s movements, but the boss should take full responsibility. Trouble is that this is the Uganda we are or our children are set to inherit, one that has been deliberately divided to serve the politics of the day. Rolling back these divisions of three decades won’t be a simple task. WRITTEN BY A READER OF THE OBSERVER NEWS PAPER OF UGANDA. Pope Francis recently decried the rampant conflicts around the world, calling them “piecemeal World War III”. War is not a game because it destroys lives and livelihoods, ravages homes and stalls the very essence of humanity. Ugandans have experienced several wars, with similar outcomes. Many have eventuallybecome resistant to war-talks as an alternative way of changing government. This is why we should applaud Ugandan Opposition leaders who reject war-talk. A database of conflict for sub-Saharan Africa shows that nearly every country in this region is situated near a conflict zone and has a high potential of erupting into conflict. Indeed, there are ongoing conflicts in the Central African Republic, South Sudan, Ethiopia, Sudan, Mali, Somalia, and Nigeria. In every continent, except Australia, there is some semblance of war going on. Irrespective of the causes, the current wars may not be clear-cut conventional world- war type, because the fronts have become diverse and complex, such as ‘terrorism’. However, the cumulative impacts of these wars have surpassed those of World War I and II. Current wars have been fought majorly over resources and the control mechanism for their distribution. The wealthiest countries, with capacity to manufacture weapons of mass destruction and the legitimacy to deploy them, are also the fiercest proponents of capitalism and liberal idealism. As a consequence, continents designated as resource-rich are also permanently or frequently embroiled in armed conflicts. And there is a correlation between war, oppression, servitude, infirmary and poverty. It is, therefore, important to understand the arguments advanced by the Uganda’s anti-war opposition. They argue that changing governments by armed conflict does not necessarily guarantee infinite freedom and equality. If it did, Ugandans would not be stuck with President Museveni and all his Mambas and tear gas on the streets to repress dissent. The population should wake up to understand that comprehensive conditions of peace, tranquility and stability are a product of a nation’s consciousness. Museveni may be using the army to cling to power. He may militarise agriculture, education, rural economies and break the spirit of the country into pieces. But the last sense of authority for legitimate change lies with the population, and not war. I watched President Museveni on TV addressing journalists in Rwakitura recently. During the conference, he rejected the idea that Buganda got its independence on October 8, 1962. I wish to invite the President to a public debate on this matter. His Royal Highness Prince Edward, the Duke of Kent, signed and handed over a legal instrument of independence for Buganda Kingdom so as to terminate all the agreements that Great Britain had entered into with the kingdom. These are the 1893 Agreement,the1894 Agreement, and the1900 Agreement as amended in a general notice No 1/75 of 1908. Remember at on the insistence of Governor Sir Phillip Euen Mitchell, the said amendment was consolidated in volume VI of the laws of the Uganda Protectorate in 1935 on page 1373. Then there was the1955 Agreement and finally the 1961 Agreement. So inside the new Bulange Hall at Mengo October 8, 1962, the Duke of Kent handed over a signed legal instrument of independence that effectively terminated the old order and that is what makes it an independence day for Buganda. The occasion in Bulange was witnessed by Governor Sir Walter Coutts, Prime Minister Milton Obote, visiting President Jomo Kenyatta and his colleague Mr Tom Mboya as well as all Buganda Kingdom leaders. My friend Editor of this article, as long as these international peace organizations are silent on who exactly is selling or lending killer arms to these African chaps(International African arms dealers) you are going to keep writing lots of Sudanese civil war pages. Some one some where has got to make a living from other people's human misery! And this human refugee misery is overflowing all the way to Calais in France and the whole of the European countries. A secret operation by security contractors based in Uganda has been underway training fighters, comprising Ugandans and South Sudanese, to fight in the South Sudan war, The Independent has learnt. The training is reportedly part of a deal worth millions of dollars between representatives of the Juba establishment and some of the security contractors based in Kampala. The training has been taking place at a private airfield a few kilometres from Entebbe called Kajjansi Airfield. From here, and after the training, the fighters would be airlifted to South Sudan, sources familiar with it revealed. Previously, the operation was kept under wraps but has been exposed following the failure by the contractors to meet their contractual obligations. Apparently, the representatives of the South Sudan establishment became furious after the contractors failed to deliver the agreed upon number of the mercenaries at the agreed time. As part of the deal, military intelligence in Uganda has established that Juba had already paid the contractors a down payment of close to US$900,000 (approx. Shs3 billion). By press time, a military source had confirmed that the Uganda People’s Defence Forces (UPDF) leadership, specifically the Chief of Defence Forces (CDF), Gen. Katumba Wamala, was aware of the arrangement. When contacted, Police Spokesperson, Fred Enanga, said he was going to first contact Kajjansi and return with a response but he did not. Critics say the operation is the latest window into how far the warring parties in South Sudan are willing to go in their struggle for power in a conflict that has claimed 10,000 lives, made over half a million flee the country and over 1.5 million get displaced internally. Critics also say that such a plan means that efforts at reconciliation in which regional and international actors are heavily invested might not amount to anything. Kajjansi Airfield, located 20 kilometres north of Entebbe Airport, is divided into two—the Mission Aviation Fellowship (MAF) side and the Kampala Aeroclub and Flight Training Centre (KAFTC) side. Both sections are heavily guarded by both police officers wearing the counterterrorism uniform and that of the Field Force Unit. At KAFTC, which is accessed through Gate one, the officers manning the facility denied presence of any Sudanese and directed us to the second gate. At MAF, which is accessed at the second gate, however, officers admitted that there were trainees meant for South Sudan. “They are not here,” an officer said, “The South Sudanese trainees were training at the other side of the first gate. That is where they train from.” Hinting at the possibility that recruitment was continuing, the officers said, anyone interested in training with the Sudanese has first to go to Entebbe where they register from. According to the information on its website, KAFTC offers airplane and helicopter charters in Uganda and surrounding regions, as well as providing flight training and aerobatic/scenic flights. Officials at both the South Sudan Embassy in Kampala and the UPDF have denied knowledge about this development. “Where are they training from?” the South Sudan Ambassador Samuel Luate Lominsuk asked when The Independent contacted him. An official attached to his office, who he authorised to speak with The Independent, also denied any knowledge. He added that if anyone was training fighters for South Sudan, they are meant to fight as rebels. Those privy to the details of the deal, however, say it is part of a grand plan sold to Juba by security contractors to deal with the rebels. They claim that training fighters to uproot the Riek Machar-led rebels that have upset the Juba government since 2013 started after it became apparent to the Juba establishment that the UPDF would not actively pursue the rebels. When war broke out in December 2013, the UPDF deployed in South Sudan and was mainly responsible for rolling back the rebels who were only hours away from overthrowing the government. When the UPDF deployed, it first overpowered the rebels that were keen on capturing the key government installations including the Juba Airport—South Sudan’s major airport, among others. With a base at the Juba Airport, the UPDF was also involved in recapturing Jonglei State’s capital of Bor and pushing rebels farther north. But international pressure meant that the UPDF could not push further given that its leadership claimed that they would only go as far as securing the main facilities of President Salva Kiir’s government. And as regional and international voices calling for dialogue increased, the UPDF even scaled down its operations in South Sudan. Several attempts to resolve the crisis through talks witnessed by the United Nations, African Union (AU) and the Inter-Governmental Agency for Development (IGAD) have failed. The last round of talks collapsed this March in the Ethiopian capital, Addis Ababa, and fighting resumed. As early as May, the rebels announced they had taken control of the country’s main oil fields after defeating government forces in Upper Nile. With some oil fields under their control, the rebels are in position to wait out the Juba establishment, which now finds itself short on revenue given that oil production has been slashed. Before the war, oil revenue accounted for 98 percent of the country’s budget. The war has meant that oil production has been cut by up to 60 percent. The Juba establishment expected the UPDF to protect the oil fields. However, while still close to the country’s leadership, President Museveni, who was in the capital as South Sudan celebrated its independence anniversary on July 9, seems to have bought into the view that Uganda should only stop at taking care of its interests. President Museveni has explained that one of these interests is that South Sudan is Uganda’s biggest regional market. He has also said that Uganda had to intervene to prevent a blood bath and a refugee crisis in the northern part of Uganda. The other issue is that a crisis in South Sudan can offer Joseph Kony and his Lord’s Resistance Army (LRA) an opportunity to re-emerge as a serious security threat. From Uganda’s position therefore, the presence of UPDF in the country seems to serve these interests. Kiir, however, is keen to flush out the rebels because they are a constant reminder that his power is threatened. That is why even his speech on July 9, in which he called on South Sudanese to join hands with him to stop “this senseless war and work for peace, reconciliation and reconstruction of our country," was seen as mere lip service. He said he had worked tirelessly to end the fighting and the suffering of the people but many critics say he and Machar have sustained the fighting for selfish reasons—mainly hunger for power. “Only leaders on both sides can end this violence,” the U.S. National Security Advisor Susan Rice said in a video message to mark the country’s independence. “Yet, President Kiir and Riek Machar would rather haggle over personal power and wealth than agree on solutions”. The U.S. Ambassador to the UN, Samantha Power, also made the same point that day when she said that while the people of South Sudan want peace and stability, they have leaders who are more interested in their own personal fortunes than the welfare of their people. But Kiir does not seem very amused with that talk. He has said that while his government is committed to resolving the conflict under IGAD mediation, “the end result must be peace that is not imposed on them by others in order to divide us”. Machar is also not relenting. Just days to the country’s independence celebrations, the rebel leader told reporters in the Kenyan capital that the civil war will continue as long as President Kiir remains in power. “We don’t feel like we have a peace partner with Salva Kiir,” Machar said. Yet a day before, he had told Al Jazeera that he wanted a power sharing deal with Kiir. South Sudan’s parliament voted in March to extend Kiir’s mandate by three years, essentially ruling out plans for elections previously planned to take place this year. But Machar says that his fighters do not recognise this and that Kiir’s government is now unconstitutional. Since the last round of talks collapsed in March, IGAD has proposed bringing more mediators into the talks, including the United Nations, United States, China and the African Union. But with talk of training fighters, it seems Kiir and Machar are still far from reconciliation.